Real solid numbers for 93 oct. gas, AJ said he thinks it may respond pretty well to a race gas tune. I think he was battling a little knock with the 93 oct.
^^^^Slide, same issues i had with the Thitek head swap...some knock that still plagues me some....I havent hit the dyno since the Viking trans install as the stock trans was giving me fits. I was seeing 580 in spots, then 520, then 500, then 530...it was crazy. So the next dyno should really speak volumes. Interesting, What compression ratio you at now? And did you try some race fuel, Those are some crazy power swings you have there. 11.2-1. It started with 7 KR and was tuned down to 3. I have run C16 and still have 3 KR. The dips were from the trans slipping and the TCM not holding gear, we think.... I will be going back before the KB install to see how the new trans is going to perform. Right now I have a high rpm "miss", lag type issue that seems to be fuel related but my AFR is still showing mid 11's. Just needs some more dyno/tune time. If you are running c16 and still have knock it's either false knock or something is rapping in the motor. We are running 12:1 comp in Wendys 440 with 25* out the back and 19* through the middle on MS109 and 12.5A/F and have 0* KR. Thats what we were thinking as well. Solid motor mounts and my mid pipes were smacking the underbody. We have made some mods and are gonna try it again....She ran good at Atco. Until the TCM crapped on me. Bringing this back up, need to keep updated on what is working and what isnt. These are the types of builds alot of guys want in older Mopes, max hp NA stuff that runs fine on pump gas. Mine wasnt making the power I was hoping for, 3700lbs, 122mph @ 2100ft elev. Still not sure what it wants for a timing curve on pump 91. 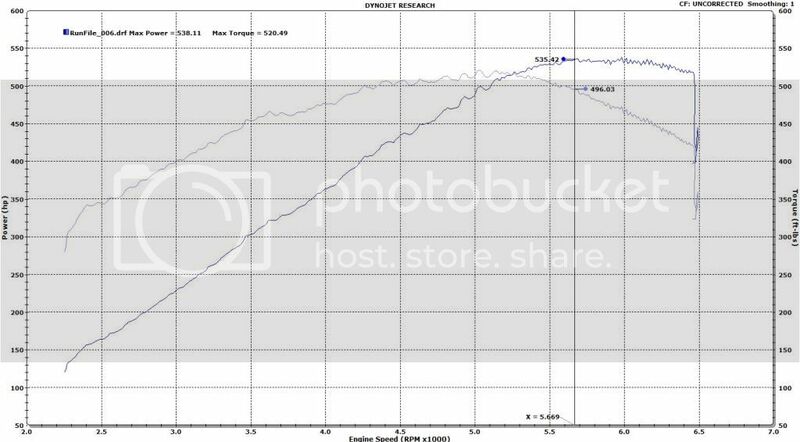 I did kill a supposedly 480rwhp LS Fbody on the street though, badly. I'm running 13 to 1 compression with 29 degrees of timing and have 0 knock retard. I will say....I personally find this shocking. But the old 462 motor was the same way. Best thing I could probably do is hit a dyno. The guys locally are diesel dipshits though. I have never tried anything over 23* on pump 91 though. It helps when you have knock control actually turned on.